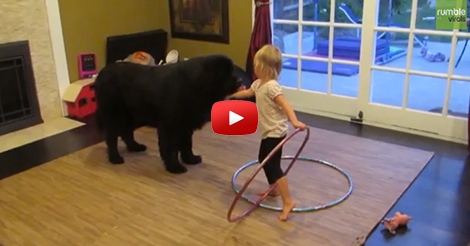 An adorable toddler named Sierra tries to teach her giant dog how to hula hoop. She puts the hula hoop around the dog and begins her cute lesson. Although the dog didn’t follow her, he still paid attention and intently watching her demonstration. Sierra is so cute motivating her dog and saying “good boy” to encourage him to play the hula hoop. 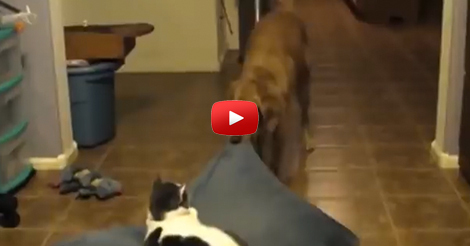 Don’t worry baby girl, the dog is still observing… later on he will play hula hoop with you. The dog will play the hula hoop with his ways… but it will still be fun.